The author of The Shack brings one of histories best known women to life in this new allegorical tale. Eve is a bold, unprecedented exploration of the Creation narrative. When a shipping container washes ashore on an island between our world and the next, John the Collector finds a young woman inside-broken, frozen, and barely alive. With the aid of Healers and Scholars, John oversees her recovery and soon discovers her genetic code connects her to every known human race. She is a girl of prophecy and no one can guess what her survival will mean. No one but Eve, Mother of the Living, who calls her "daughter," and invites her to witness the truth about her story-indeed, the truth about us all.Eve is a bold, unprecedented exploration of the Creation narrative, true to the original texts and centuries of scholarship-yet with breathtaking discoveries that challenge traditional misconceptions about who we are and how we're made. Eve opens a refreshing conversation about the equality of men and women within the context of our beginnings, helping us see each other as our Creator does-complete, unique, and not constrained to cultural rules or limitations. 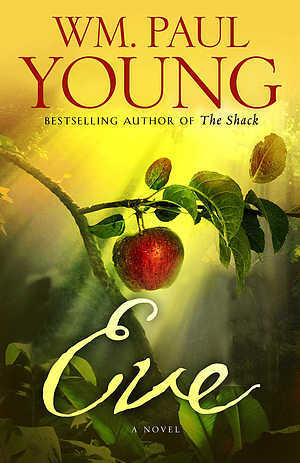 Thoroughly researched and exquisitely written, Eve is a masterpiece that will inspire readers for generations to come. Eve by WM. Paul Young was published by Simon & Schuster in September 2015 and is our 11955th best seller. The ISBN for Eve is 9781471151200. Be the first to review Eve! Got a question? No problem! Just click here to ask us about Eve.